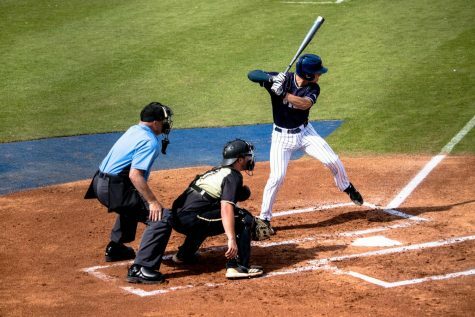 After scoring a combined 21 runs, the Ospreys’ offense fueled them to win both games of the doubleheader against the Broncos. Sophomore Max Law prepares for the pitch. 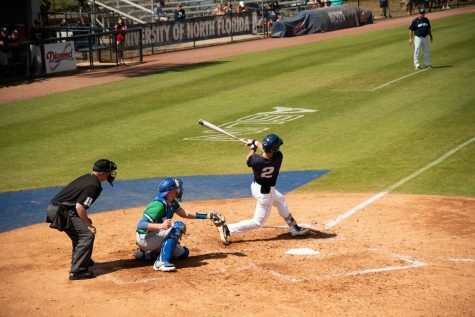 UNF answered early in the game after Junior Tanner Murphy showed his strength on a deep home run to left field allowing Redshirt Senior Wes Weeks to run through home base and put the Ospreys up by two runs in the bottom of the first. Senior Jay Prather scored in the bottom of the third from a single up the middle by Junior Austin Hurwitz to extend the lead to 4-0. 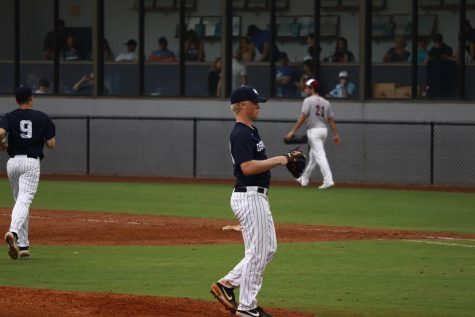 The bottom of the fourth inning showed bases loaded from the Ospreys and Senior Alex Reynolds score on a bases-loaded-walk by Junior Tanner May. 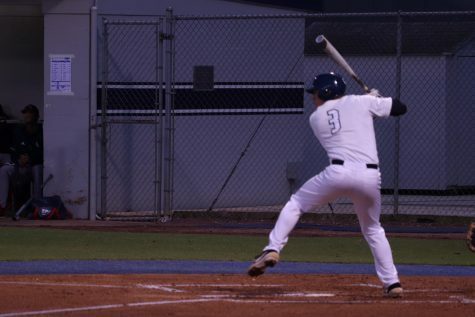 Sophomore Abraham Sequera crossed home plate after a single to left field from Prather, May also scored to finish the inning and put the lead to 7-0, Ospreys. In the bottom of the fifth, Sequera streaked a double down the left field line allotting Reynolds to score for his second time. Sequera’s impressive speed gave the Ospreys another run after a single up the middle from Weeks and extended the Ospreys lead to 9-0. Weeks, with the bases loaded, hits a single through the left side allowing Senior Chris Berry to score. With only one out, May lined a single to left-center letting Reynolds score for a third time and extended the lead to 11-0. The Broncos started the top of the seventh off strong with bases loaded and Junior Ethan Hajdukovic scored after Sophomore Justin McIntyre was hit by a pitch. 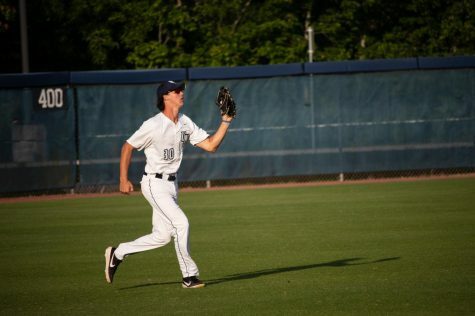 Junior Drew Devine also scored on a fielder’s choice to cut the deficit to 11-2, Ospreys. The Ospreys shut down the Broncos in the final two innings to finish the game off and win 11-2. 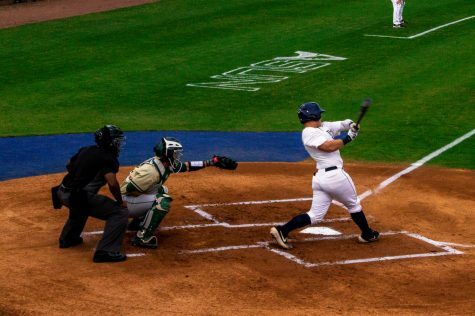 The Ospreys batted around in the bottom of the first to score five runs. 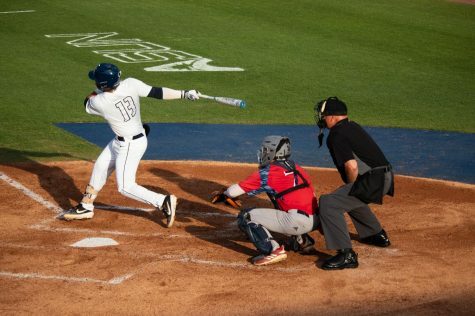 UNF got on the board with a with a long sacrifice fly to left by Murphy, scoring a runner for a 1-0 UNF lead. Berry added two more runs for the Ospreys on an RBI double to left as the Ospreys led 3-0. Reynolds padded the lead to 5-0 after lining a single to right to score two. The Broncos scored their first run of the game on an RBI double to left by Senior Jesse Forestell to cut the deficit to 5-1, UNF. In the bottom of the third, Weeks scored two runners on a bloop single to center to extend the lead to 7-1. The Broncos scored two more in the bottom of the fourth on an RBI single by Blake Dunn to center to put the score at 7-3, UNF. Prather plated a runner on a single to right in the bottom of the sixth for an 8-3 lead. Berry added another insurance run in the same inning on a single to left to push the lead to 9-3. Hurwitz chipped in with an RBI single to right for a 10-3 Ospreys lead in the bottom of the eighth. 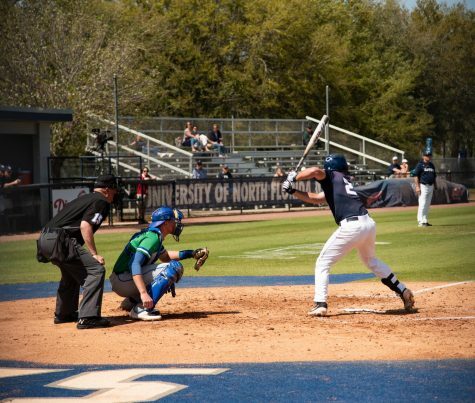 The Broncos recorded their last run of the game on an RBI single to center by Senior Jimmy Roche for a 10-4 score as the Ospreys eventually won, 10-4. “After last night, they (WMU) put a good whipping on us but we had a good workout before practice and got some good batting practice in. First inning, we started off real well and went from there,” Coach Tim Parenton said about the team’s performance. Berry finished with six hits in the doubleheader, including a pair of doubles. 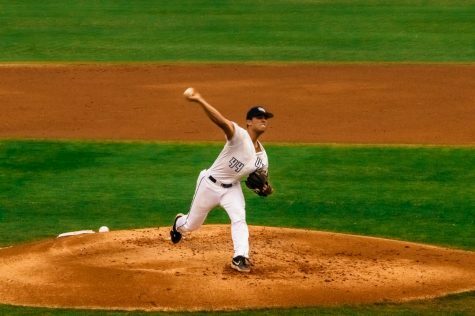 Freshman Zach Chappell earned his first win of his collegiate career in game two of the doubleheader with two scoreless innings and one strikeout. The wins improve UNF to 10-7 and the losses drop the Broncos to 5-10. The Ospreys’ next game is on the road at Bethune-Cookman on Tuesday, March 12 at 6:05 p.m.